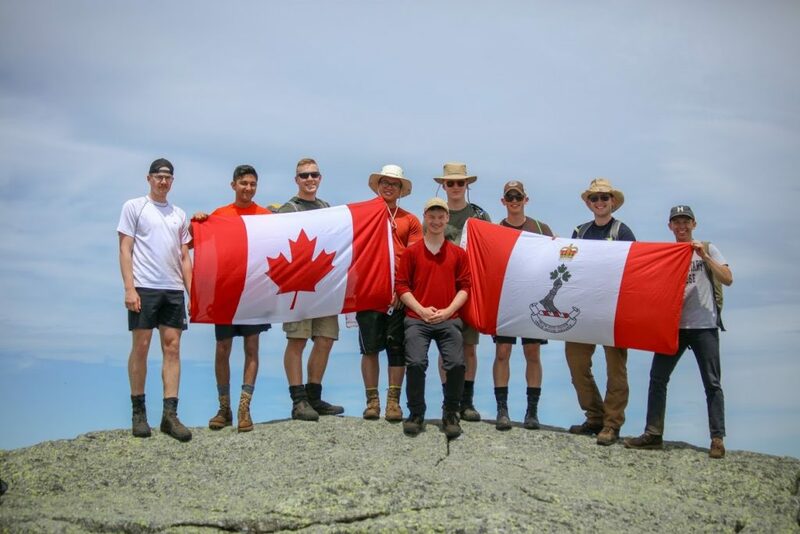 On the 16th of June, the RMC Expedition Club sent some cadets to the Adirondack mountains in New York in order to conduct their first hike of the summer. And what a hike it was! The objective to was to climb to the peak of Mount Marcy, which is the highest mountain in all of New Yok state. Under the careful leadership of Jacques Pecora (27908) and his trusty 2IC OCdt Michael MacEacheran (27884), a team of cadets which included OCdt Benjamin Murray (28214), NCdt Carter Dixon (28245), OCdt John Marsland (28180), OCdt Robert Haddow (28074), NCdt Tyson Roose (28080), OCdt Ahan Chauhan (27720) and OCdt Robert Seed (28116) departed from the Peninsula at the end of Second Language classes on the 15th of June in order to make it to the base camp before night fall. Upon arrival, the team had a quick hike to the base camp and then prepared their kit for long day ahead of them. The cadets started to get up and moving after a quick breakfast and Kit check as the Sun rose. The hike started out as a mere walk in the woods with very little elevation or obstacles along the path. Later on, trail became a milieu of rock and mud as the members of the expedition continued to approach the mountain. The team had to trek over a variety of terrains including riverbeds, swamplands and the rocky mountain side. 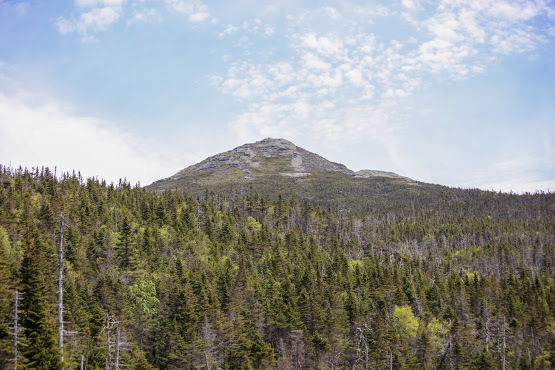 There was a clearing by the lake when we reached the foot of the mountain which provided a marvelous view of the challenge that lied a head of us, Mount Marcy itself. After a quick break the OCdt Pecora led the team to advance up the steep winding path up the side of the hill. The hike continued in this manner for a while until the stony peaks of the mount came in to view, all that was left was a portion of shear rock acted as a gut check for the nine who only had a few hundred feet left before they could rest. By the time, they reached the summit the cadets enjoyed some long due rest. 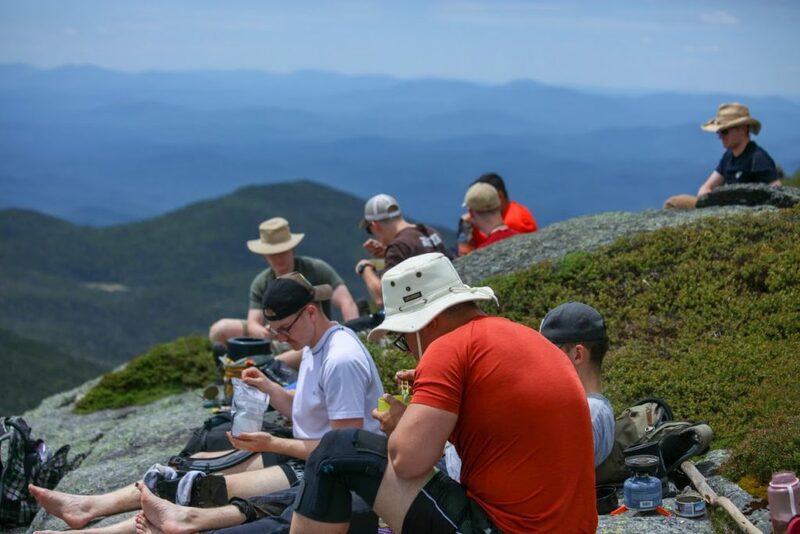 On top of the summit, everyone got to enjoy the view over the Adirondacks at five thousand feet as they ate their food heated up on little camp stoves. After finishing their meals, the crew showed their college pride as both the National and RMC flags flew in the wind over on the mountain top. Thanks to OCdt Haddow, the club took a number of good photos of the view and then everyone readied for the descent down the other side. Luckily the way down was much easier thanks to a shorter route and the help of gravity. By the late afternoon, the RMC Expedition Club made it up and down Mount Marcy with everyone in one piece and in high spirits. The nine cadets departed soon after and arrived at RMC ready for a shower and a good night’s sleep. 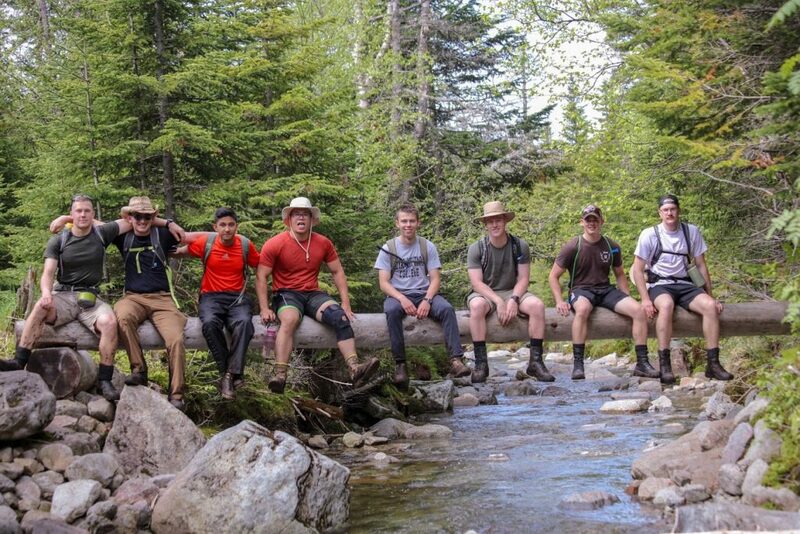 The Expedition Club conducts trips like these throughout the year in order to provide Cadets with an experience to push themselves and work on teamwork skills in a relaxed environment such as the trail up Mount Marcy. A great initiative, well done!